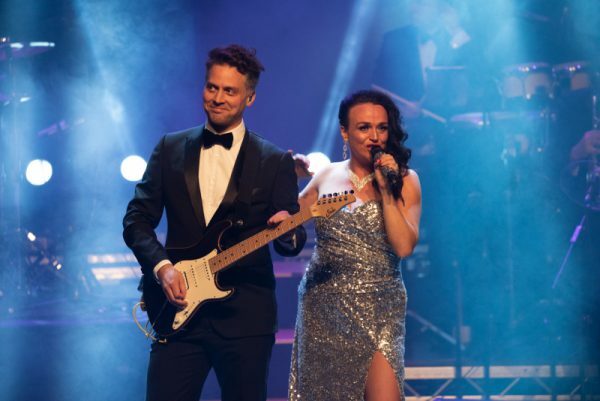 Q The Music, the James Bond Band with a big heart and an even bigger sound, are back on tour of UK theatres in 2019. 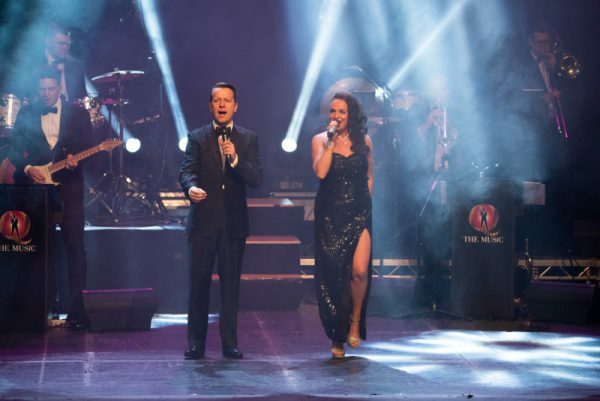 The highlight of the tour will undoubtedly be their debut in the West End of London at the Adelphi Theatre on The Strand. The show has become known to Bond fans around the globe for their authentic arrangements and sound, coupled with a huge passion for the music that oozes out of their performances. It’s going to be a big year for Q The Music. 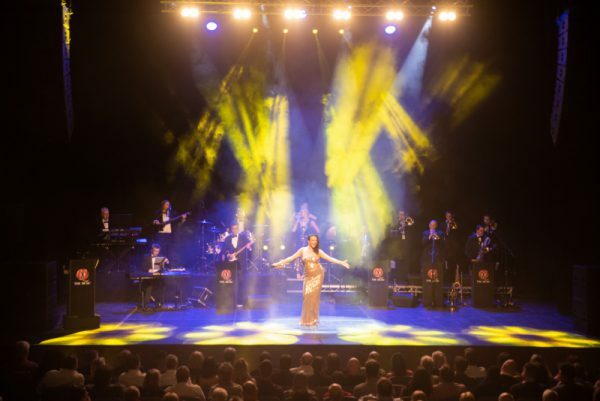 As well as touring theatres throughout England and Wales (see their website for details) they are also performing at a fan celebration event (50th Anniversary of On Her Majesty’s Secret Service) at Piz Gloria on 1st June organised by On The Tracks Of 007 and attended by George Lazenby and 250 Bond fans from around the world. 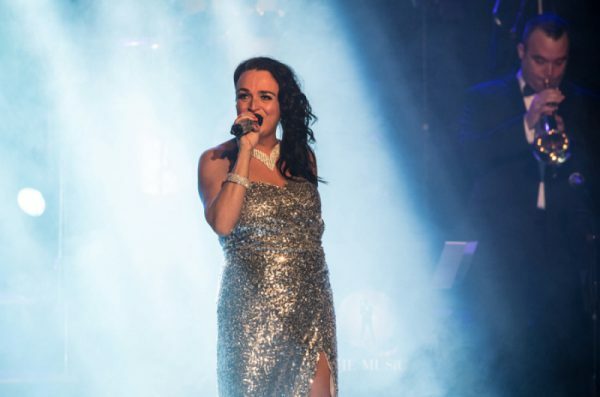 In 2017, they had the distinction of being invited to perform at Sir Roger Moore’s memorial event held at Pinewood Studios, where they received incredible accolades from alumni such as Sir Tim Rice (who wrote All Time High), Madeline Smith and Gloria Hendry. 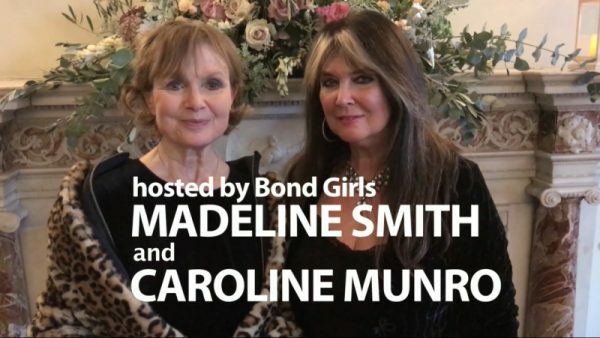 Bond girls Madeline Smith and Caroline Munro, both huge fans of the show, will be compering the West End Show together on March 17th. The show will be joined later in the year for the first time by Caroline Bliss who is compering the show in Bradford on the 6th September. Tickets range from £21.85 to £54.85. Other UK Tour Dates and Tickets can be found here.